A handsome timepiece from watch specialists, Breitling. The Avenger II boasts 300m water resistance, luminous Arabic numeral hour markers and hands, set in a polished stainless steel case along with diamond set bezel . Finished with a stainless steel bracelet and fastens with a deployment clasp. 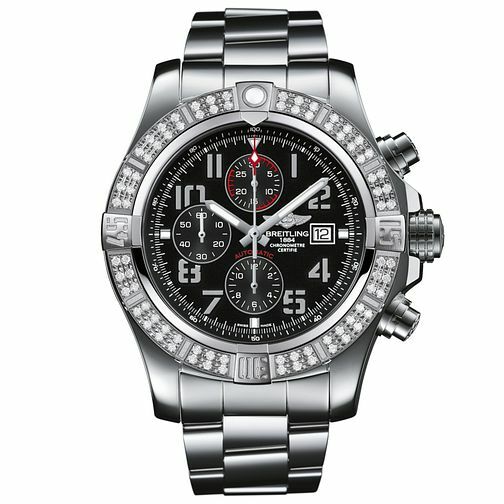 Powered by Breitling 13 Caliber selfwinding mechanical movement, with a 42 hour power reserve.